A snowfall warning is in effect for the area and highway passes. 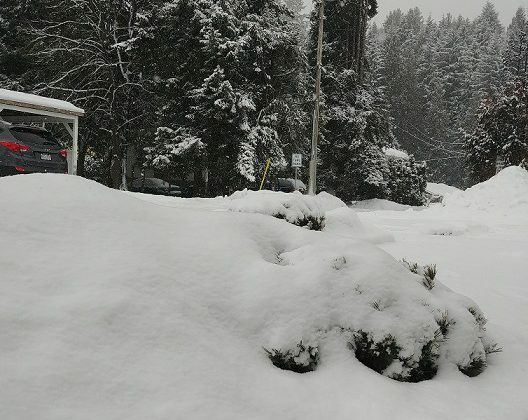 About five to ten centimetres more is expected in Nelson and Castlegar today, but Environment Canada is calling for about 20 centimeters near Trail. The snow should end late this afternoon but there is a 40 per cent chance of flurries overnight. 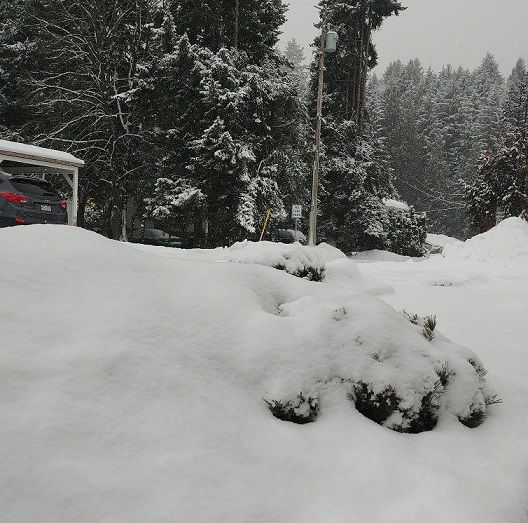 By this evening 15 to 25 centimeters is expected to accumulate on Highway 3 from the Paulson Summit to the Kootenay Pass.